Just yesterday I spoke with a dentist about the guidance she’s looking for to get her hygiene team calibrated to reduce the chaos they’re feeling in this super busy practice. I shared with her our Masters Academy coaching and workshop designed to do just that. If you’re curious too, watch this short recap video to meet a few of our clients and hear about their journey through Masters. We’re so thankful for you! From all of us here at Inspired Hygiene to you and your family, we wish you a wonderful Thanksgiving!! We can all agree that utilizing technology is an important part of serving our patients’ needs. Watch this quick video to discover “Waze” to help patients find your office. If you’d like to learn more about the potential of your hygiene department, request a complimentary Discovery Session. You’ve probably heard the quote ‘What got you here won’t get you there’. When you are looking for growth, change, improvement, however you want to describe your ‘next level’, it is REQUIRED that you do something different than what has gotten you to the current state. And usually that means getting outside of your comfort zone. Sometimes it’s a little bit outside and sometimes it’s A LOT. This week’s video is a quick bit of motivation for you and your team when you’re going through change or starting something new that might be uncomfortable. Know that if your vision is clear WHY you’re doing this just keep going and you’ll get to that new level. Have you ever wondered the How, What and Why for Ultrasonic use? Have you ever asked yourself these questions? How do I make ultrasonics less sensitive for the patient? What is the difference between Piezo and Magneto (cavitron)? Why would I use Ultrasonics as my instrument of choice for effective biofilm removal over hand instruments? If so, watch my short video giving you the ‘Down and Dirty’ with Ultrasonic use. 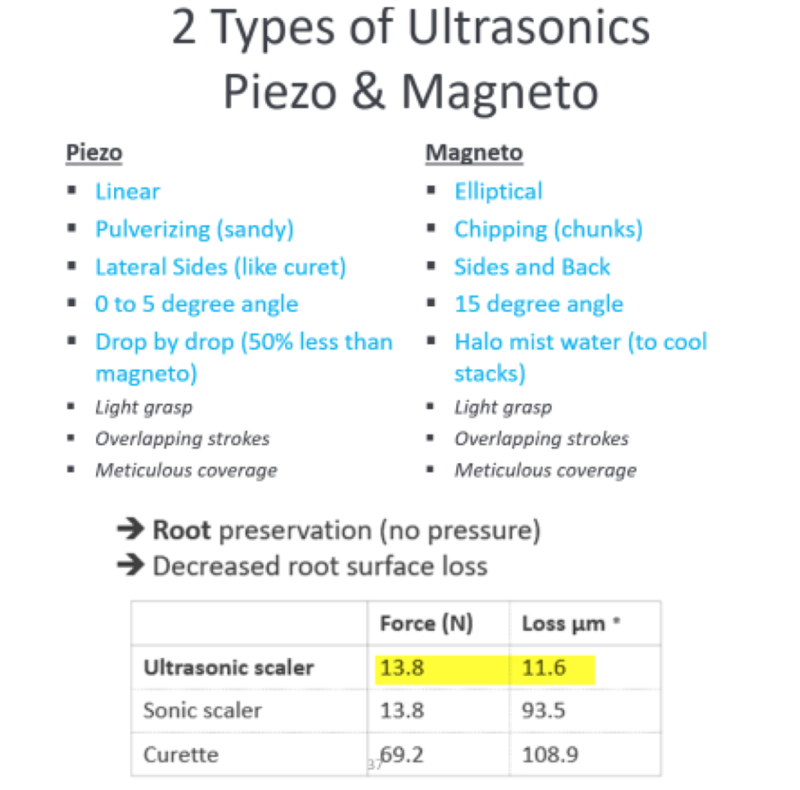 The table below identifies the main differences between Magneto and Piezo. The second table shows force applied and microns of removed cementum when using hand, sonic or Ultrasonic scaling. Is Saving Lives Your #1 Priority? 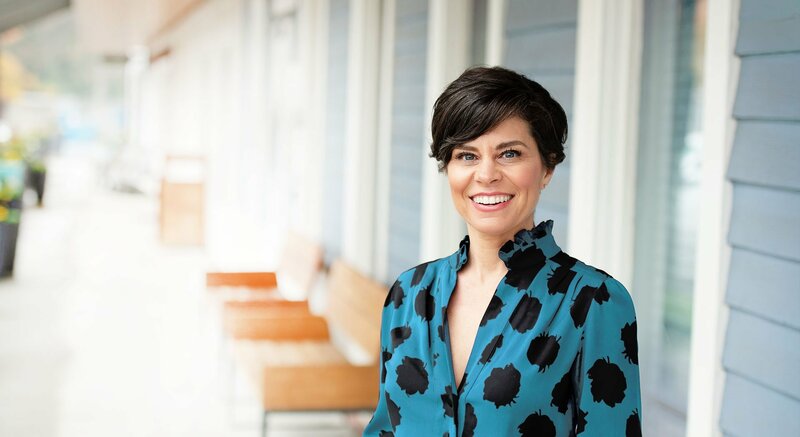 Are you holding your hygienist back?